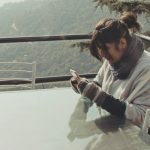 Emotionally overwhelming, overpowered with the background score and set in the scenic nooks and corners of the country, Samsung Service has scripted a story to stroke hearts and bring out their empathetic side towards their customers with a four minute long film titled, #SamsungCares. Crossing that formal line between them and their customers, through this campaign the brand attempts to break in the stereotypical relationship and builds an intimate, friendly and reliable relationship with their customers. “Our new initiative of expanding to rural India, right upto the taluka level, helps us in taking care of our valued customers, wherever they are. The new campaign video gives a glimpse of yet another initiative towards our ‘Make for India’ commitment. We are very happy to receive an overwhelming response from consumers across India, who have given a big thumbs up to the campaign with around 13 million views on YouTube in just 96 hours,” said Ranjivjit Singh, Chief Marketing Officer, Samsung India. To briefly summarize the plot, this four minute long film begins with a phone call where a customer needs to get her television fixed and asks the customer service individual to come before 7 pm in the evening. In between the film takes us through the entire journey filled with obstacles of rustic corners of countryside. Throughout the film the persistence of the customer service person, named Amit to reach his destination is quite the crux of the sentiment. The story does not end with his diligence, but as he reaches his location he realizes that the house is a hostel for the visually impaired and how all the kids gather to watch a singing reality show where one of their hostel-mate is a participant and her performance on the television leaves everyone awe-inspired. The story is concluded on an emotional note and is constructed in a manner to emotionally strike with the audience and create a brand connect. Through the film, the brand created a long four minute audio-visual experience which clearly hopes to highlight the strong inclination of their service towards the needs to their customers for starters. Hinting this in plenty of ways, the brand showcases through their film how their service is provided even in the most pastoral locations added with their promptness to nurture the relationship. After emphasizing their reach, #SamsungCares affirms their hashtag by showing how the customer addresses the service provider with his first name and even talks to him in an informal manner thus instantly indicating the friendly rapport. Ashish Patkar Founder & CEO of Monk Media, opines that talking about post sale service is a move in the right direction by Samsung. “Electronics like TV and phones are becoming clones of each other with very little differentiation, so the next big consumer battle is definitely going to be about after sale service experience. The #SamsungCares campaign is in the right direction. The film is absolutely beautiful and manages to merge the twin messages of how TV has helped spread aspiration to the farthest corner of this country and also how no matter where you are Samsung is always willing to offer you service. 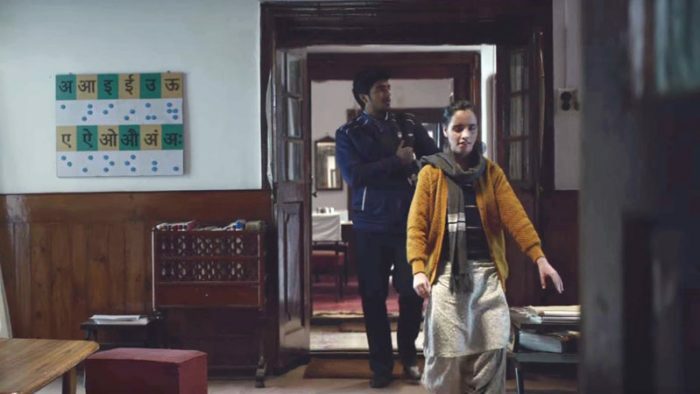 Congrats to the brand team at Samsung for identifying the correct consumer problem and kudos to Team Cheil for coming up with a cracker of a campaign and a brilliant film,” Patkar added. On the contrary, SM Manager, Jack in the Box Worldwide, Bhakti Talati finds a lack of personalization in the campaign. “The film does a fair bit of justice to the objective set by the brand. The customer service agent (Amit) not making excuses and taking efforts to clear the road highlights his commitment to reaching the destination on time. However, his surprise on seeing the blind children also shows that he did not know who he was going to serve. It shows a lack of personalisation in customer service, which nowadays is a prerequisite,” Talati shared. With its release on December 30, 2016 #SamsungCares already managed to garner 12,388,282 views on YouTube. Clicking quickly with the minds of the viewers, the video received a thunderous response on Facebook and Twitter as well. Being spoken about at large on social media, we noticed how people had chosen the most generous words for this campaign which itself speaks volumes about the success. Bas kar pagle … ab rulayega kya? … par ruladiya!! Overall, in the digital world, with this campaign, we think we bid 2016 a sweet goodbye. Samsung being a global giant managed to maintain its reputation in India with their regional touch and set the bar high for competitors.